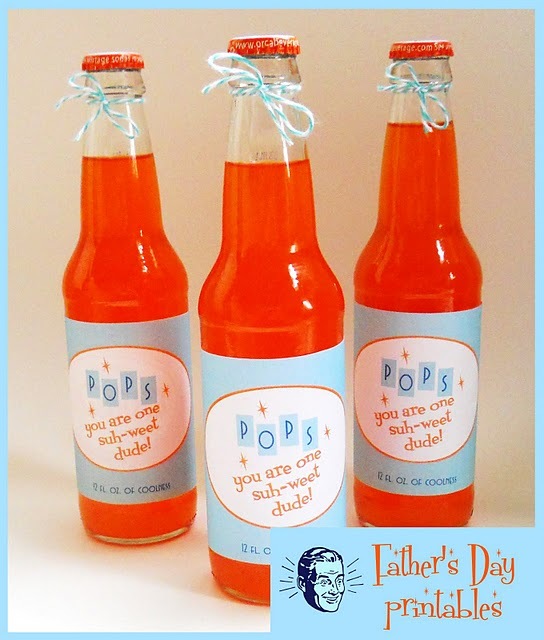 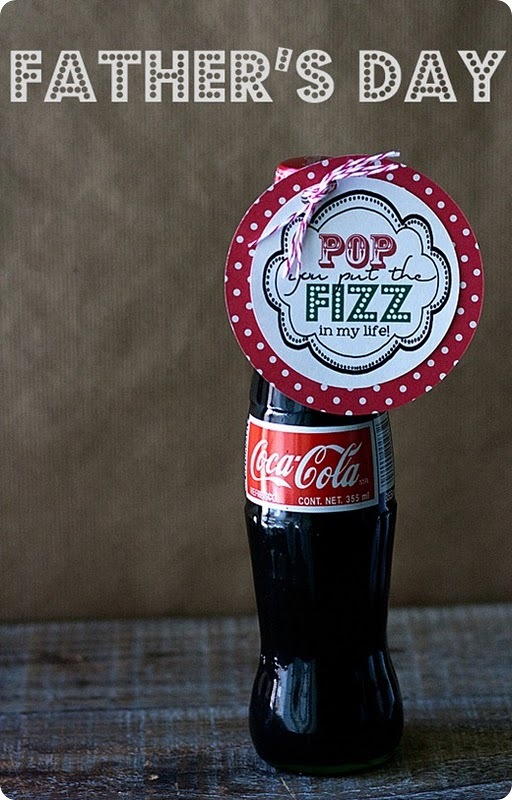 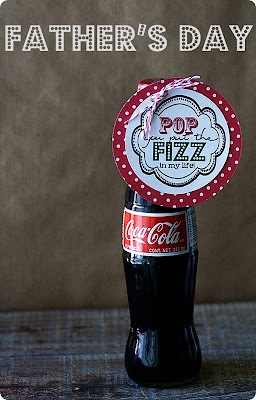 Another fun soda themed Father's Day gift idea, this time from WhipperBerry. You can get the free printables HERE. 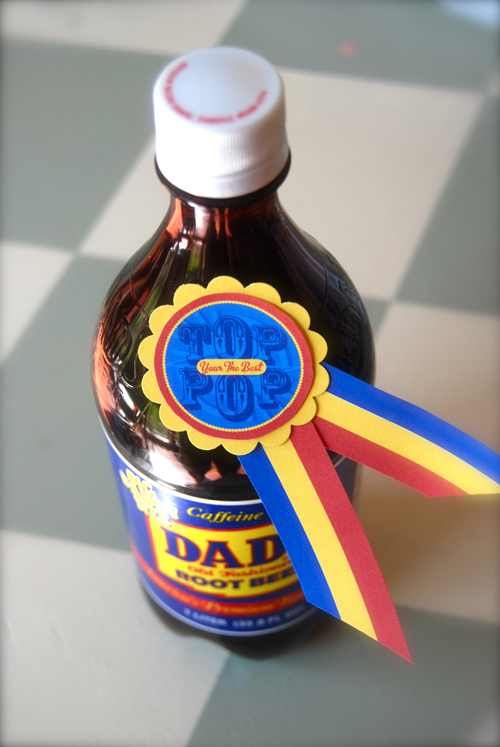 And I am pretty sure I have shared this Dad's Root Beer version from a couple of years ago, but can't find it, so here it is again. 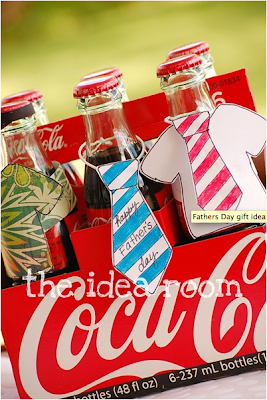 You can get these printables at 2Clever. 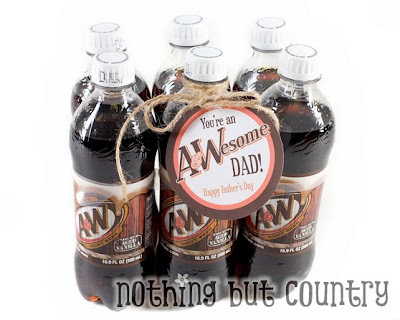 And incase Dad is more of an A&W guy (or you can't find Dads Root Beer), Nothing But Country has you covered.